Who hasn’t wanted to see the wondrous archaeological sites and amazing artifacts to be found in Egypt — a land perfectly laid out for archaeology buffs? Now, guided tours of Egypt and all its splendor are available for travelers from all over the world to visit and explore. Let’s take a look at what many guided tours have to offer. 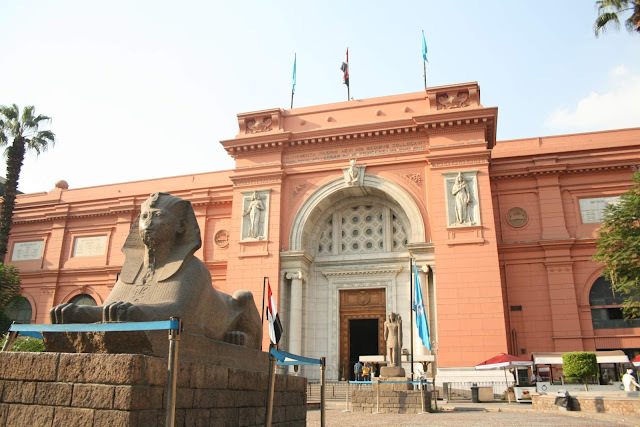 Most guided tours of Egypt begin in Cairo, where Egypt’s largest airport and biggest city are waiting to greet you. While in Egypt, your guide may take you to the famous Egyptian Museum, where the treasures of Tutankhamen and other ancient artifacts are available for viewing. You may take a drive to Old Cairo, the area where ancient Christians and Jews lived within the city. Have fun shopping at the colorful Khan El Khalili Bazaar and don’t forget to bargain. 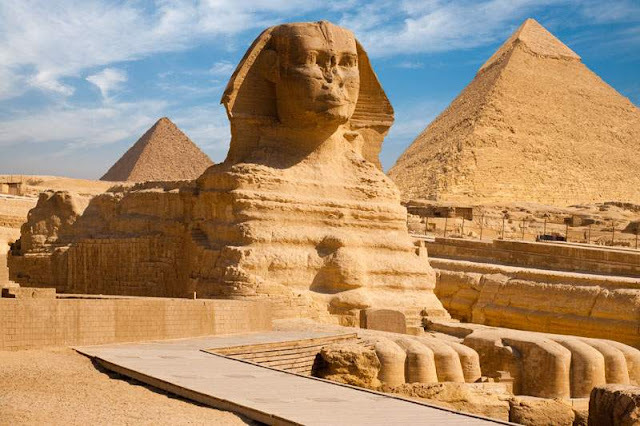 One of the most beautiful sites on guided tours of Egypt is a visit to the pyramids and the great Sphinx of Giza, a five thousand year-old monument. After taking as many pictures as you can, visit the nearby Solar Boat Museum and continue on to the ancient city of Memphis, the first capital city of United Upper and Lower Egypt, and see Sakkara, the site of the Step Pyramid of Zoser. Longer guided tours of Egypt will fly you out of the area to Sharm El Sheikh, a city on the sea with lovely beaches, pure white sands and a chance to go diving in the Ras Mohammed Underwater Nature Reserve. Another option is a walking tour to visit a Bedouin camp in the desert. Other visits include the St. Catherine Monastery or night tours of Mount Sinai, where you can watch a gorgeous sunrise and visit the monastery located there. Next, some guided tours will take you on a flight to Luxor where you’ll take a fabulous cruise ship for an unforgettable experience on the Nile River. Cruise trips typically last five days and four nights. You’ll visit the Luxor Temple that was originally dedicated to the God Amon-Ra. Karnak Temple is nearby as well. Guided tours of the area will have you continue on your cruise ship and will take you to the famous Valley of the Kings and Queens, where you can see the Funerary Temple of Queen Hatshepsut and numerous other archaeological findings. The cruise ship will be sailing upstream and will take you up to Edfu where you can visit the Edfu Temple, a famous part of Egyptian architecture. Still on the cruise ship the next day, guided tours of the Nile will stop off at the Temple of Kom Ombo, another Egyptian archaeological find and to the Nilometer, an amazing site built by the pharaohs of Egypt that was built to measure the height of the waters of the Nile River. Next, guided tours along the Nile River will show you the amazing and famous Aswan High Dam, as well as the Philae Temple and the huge unfinished obelisk in the nearby granite quarry. At this point, your cruise ship adventure is complete and you’ll fly back to the city of Cairo. Guided tours of Egypt, especially if they are comprehensive, will show you dozens of amazing archaeological sites and will teach you the history of this fascinating part of the world. You’ll see hundreds of ancient Egyptian artifacts and you’ll come away with a new appreciation of how the Ancient Egyptians lived and built their monuments.